From Greensburg, SR 46 to left on E Base Road (by Library & Highway Dept) to home on left. Sign on! 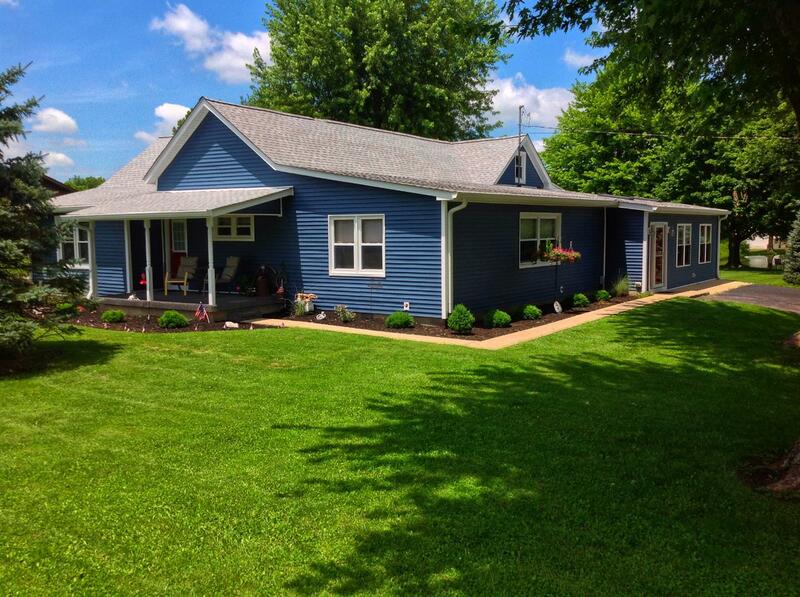 Completely Remodeled Farmhouse! 1.85 manicured acres, 26x40(3 car garage), 15x11 Bldg., Custom tree house overlooking 3/4 ac stocked pond w/dock, 4BR, 2BA, over 2900Sqft, huge living, family, & dining rooms, spacious custom equipped kit. (stainless steel), huge MBR w/ MBA, New Engineered HW floors throughout, & more! Simply Beautiful! Must See!